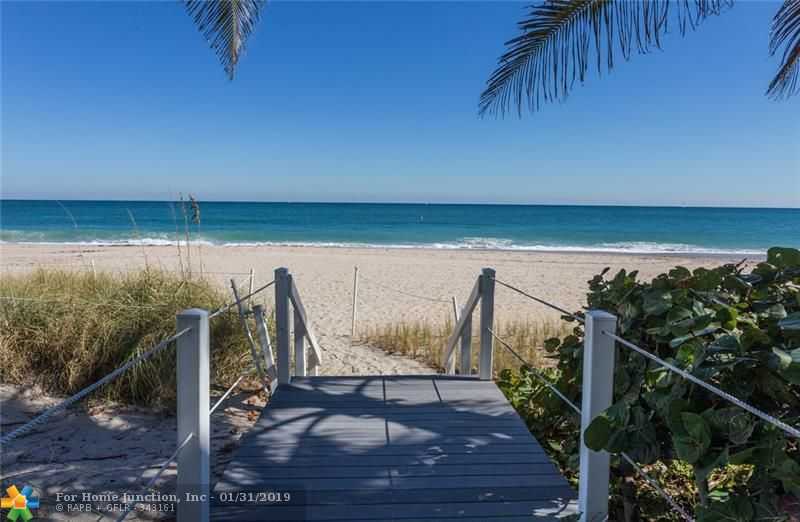 Courtesy of By The Sea Realty, Inc.. Imagine waking up each morning to a Crystal Blue Ocean. Expansive views of the Ocean from this 3/3 corner unit, with Sunrises by day and City Lights with the most amazing Sunsets by night. Only four units per floor, this unit boasts Large Rooms, each with a view. Over-sized balconies wrap around the home for outdoor living. Inside, this home has a large, open living area, wet bar with wine cooler and plenty of seating. Spacious kitchen has high end SS appliances with beautiful details in the kitchen cabinetry. Travertine Marble throughout. Giant master closet and a separate laundry room. Interior of building is undergoing a major remodel – cosmetic and mechanical updates will enhance the value. New paver entrance as well. Many amenties in this community. Pets allowed! 2 car pkg.